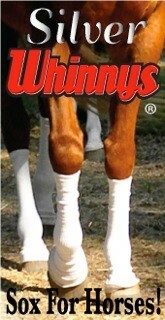 I want to organize a dressage camp. Where do I start? Does USDF have a list of instructors available to teach camps? I need funding support. What types of grants are available? Does USDF ‘sanction’ dressage camps? Where can I find books and DVD’s on dressage? 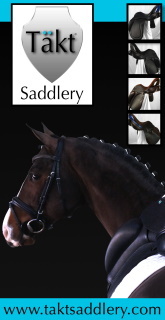 Where can I find articles on Dressage? What types of activities are available for youth? I want to host a youth or adult team competition. Where do I start? Do you have any tips for organizing a clinic? What is a Musical Freestyle? Where can I find information about Musical Freestyle? What is Pas de Deux? Where can I find information about Pas de Deux? What is Quadrille? Where can I find information about Quadrille? Guidelines are provided to help you get started. The guidelines include sample schedules, suggested topics and many fun ideas for the camp environment. These guidelines can be used for youth and adult camps. 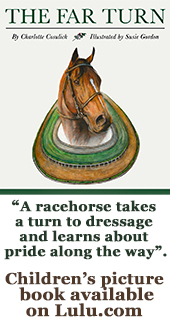 USDF encourages the use of USDF Certified Dressage Instructors due to their training. The guidelines also include other resources for instructor and speakers. Feel free to negotiate! The Dressage Foundation offers many different grants that may fit your needs. Visit their website to see what they have to offer. Organizers may choose to have their camp accredited through our University Program or if run by a GMO they might be eligible for the GMO Education Initiative. By doing this, eligible attendees could earn education credits. The USDF Online Store has many books, DVD and other products on dressage, horse/rider health, musical freestyle, pas de deux, quadrille and other topics. If you are a USDF Member, you may be eligible for a discount. USDF Members may access USDF Connection online or they may also search for articles through the education library. USDF offers many different programs for youth including Arts Contest, Shining Star Sportsmanship Program, Youth Dressage Rider Recognition Pin Program and several educational opportunities geared toward youth. Guidelines are provided to help you get started. The guidelines include a competition planning timeline, scoresheet samples, and award/special activity ideas. These guidelines can be used for youth and adult team competitions. The Adult Programs Committee put together this chart to help you get started. Determining if you have a sponsor and who is the host are the first places to start. Musical Freestyle is a series of dressage movements, set to music, and performed by a horse and rider. The Freestyle Committee has developed a list of resources, guidelines and several other resources for learning more about Musical Freestyle. Pas de Deux combines the elegance and impact of dressage musical freestyle with the added element of two horses and riders performing together. The Freestyle Committee has developed guidelines and a test for those wishing to compete in a Pas de Deux class at a USEF-licensed/USDF-recognized competition. Quadrille is mostly defined as team riding. The Freestyle Committee has developed guidelines and tests for those wishing to compete in a Quadrille at a USEF-licensed/USDF-recognized competition.